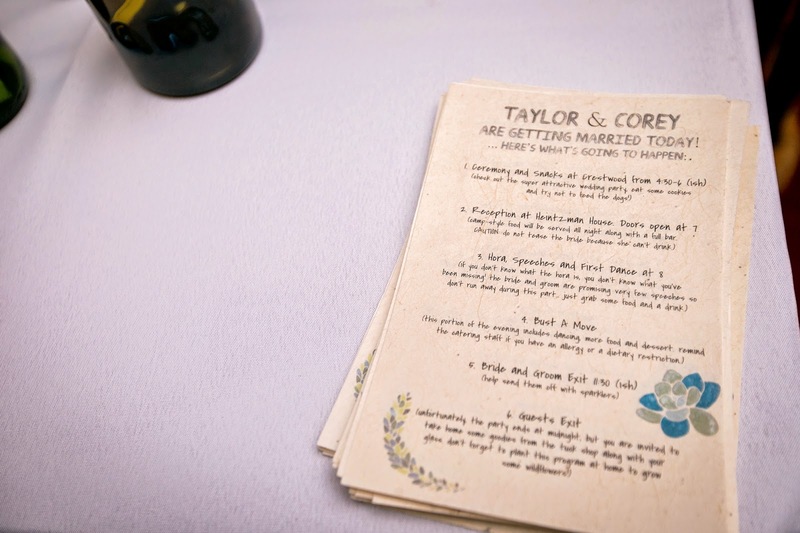 When we started planning our wedding, I remember wondering whether or not we should include programs. They seemed like extra work and a waste of paper but I also knew that people would enjoy having something to read (or use as a fan) while waiting for our outdoor August ceremony to begin. 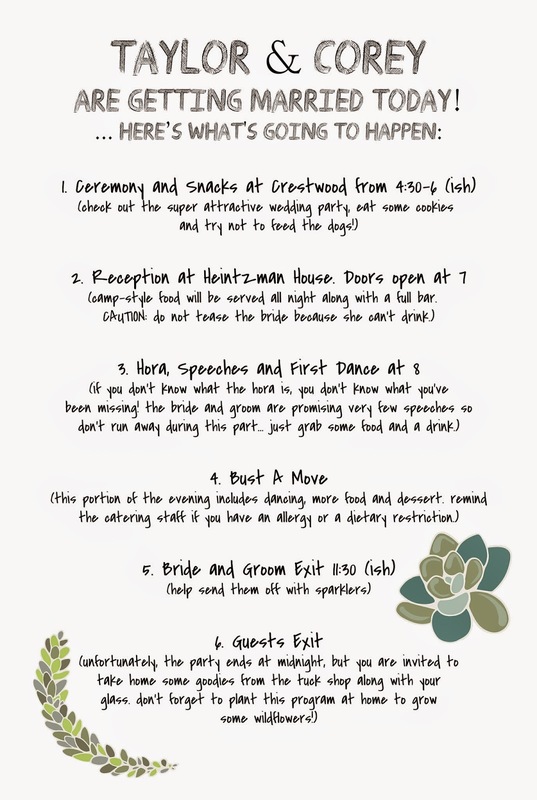 I ended up buying some recycled plantable paper online and designing and printing these at home two nights before our wedding. I found the succulent clip art here and decided to give people a rundown of our rough timeline. I think it was helpful since our wedding wasn't exactly traditional. I also reminded people that they could plant their programs to grow some wildflowers, which is nicer than having to throw them out. Did you or would you have a program at your own wedding? I've always thought the programs I featured in this post were hilarious!